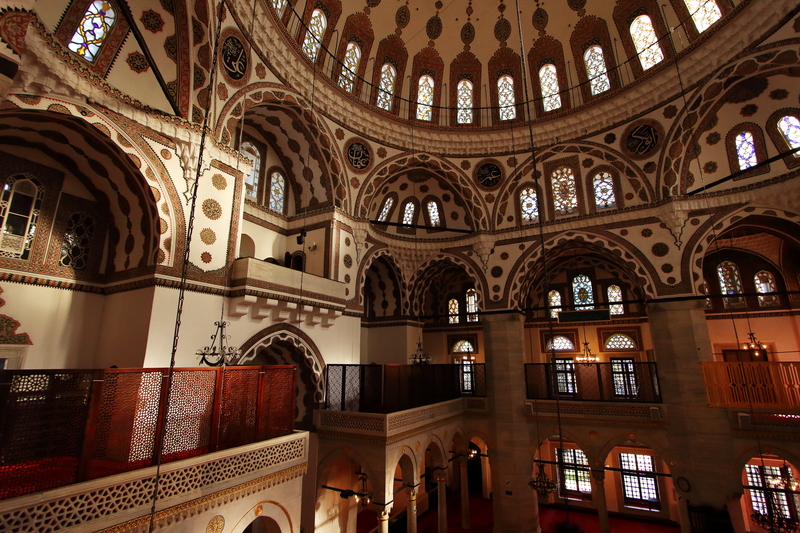 Perhaps slightly less famous than Mimar Sinan’s Mihrimah Sultan Mosque, Yeni Valide Mosque is equally beautiful and remarkably quiet when compared to Mihrimah Sultan and the bustling streets of downtown Üsküdar. The mosque grounds are walled off and filled with plane, palm, and chestnut trees giving Yeni Valide a relatively peaceful, garden-like atmosphere. Yeni Valide Mosque was built in 1711 for Emetullah Rabiaa Gülnuş Sultan, the mother of Sultan Ahmed III, by the architect Mehmet Ağa of Kayseri (a student of the celebrated court architect Sinan). The name is sometimes written with the Arabic word ‘Cedid’ in place of the Turkish ‘Yeni’ meaning ‘new’ in reference to the role that Emetullah Rabiaa Gülnuş Sultan had newly taken. The layout of the building is beautiful and balanced and the ornamentation exquisitely detailed. 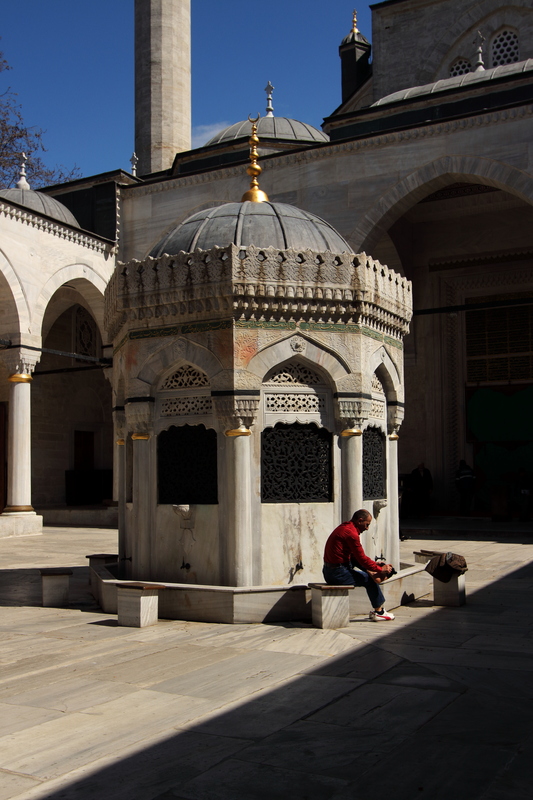 The fountain in the courtyard fits into the whole much better than many of Istanbul’s other grand mosques where the fountain was awkwardly altered in later years. 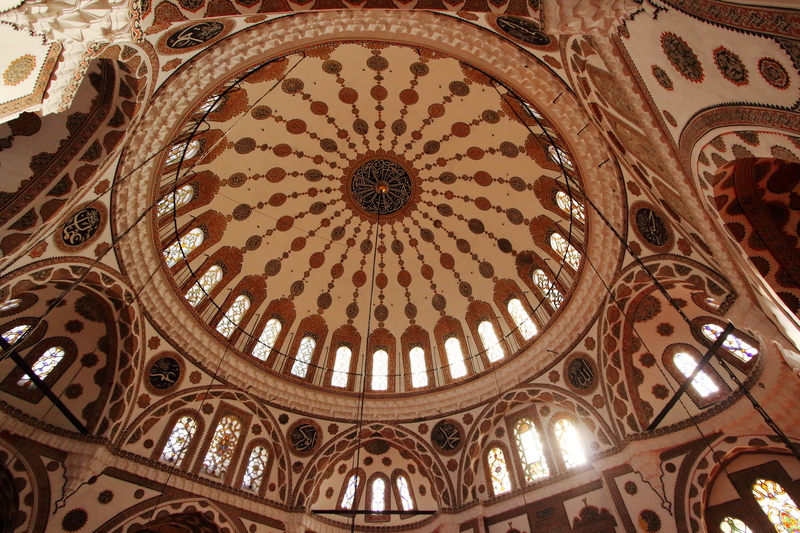 The inside of the mosque is beautifully decorated with the curvy patterns that were so popular in this period. 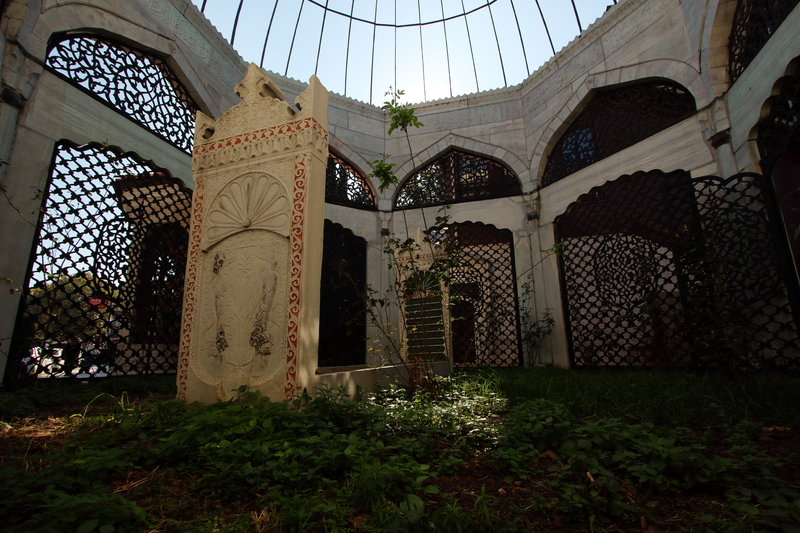 As a part of the mosque complex there is the mausoleum of Emetullah Rabiaa Gülnuş Sultan built in a unique ‘bird cage’ style with a public fountain next to it. Cups of water are still distributed from this fountain today. The fountain and tomb can be found on the main street in the eastern corner of the complex. There is also a royal lodge, raised above the main level on columns, attached to the mosque. 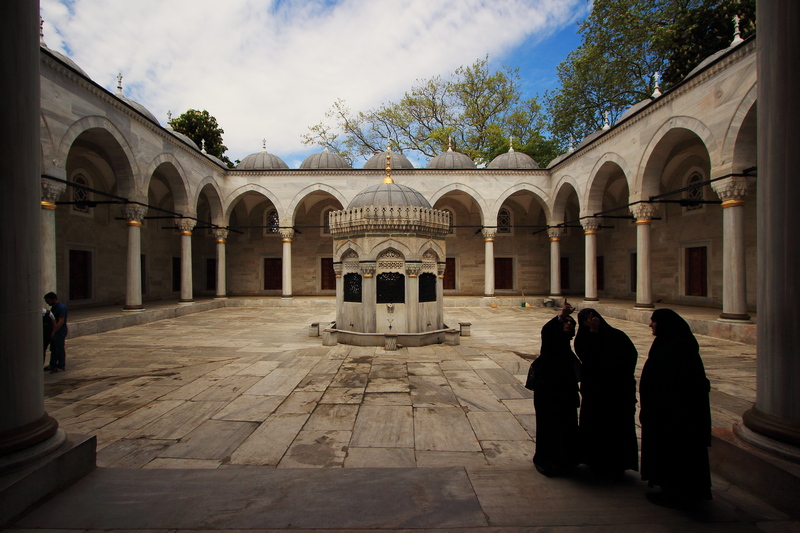 As Yeni Valide Mosque is rather close to Mihrimah Sultan Mosque the reading of the ezan (or adzhan, the Islamic call to prayer) is synchronized between the two. Keep an eye out for birdhouses, designed to look like miniature mansions, sticking out of the stone walls! Yeni Valide Mosque is right behind the Üsküdar Marmaray station and only 300 metres from the ferry terminal making it very easy to get to and find from virtually anywhere in the city. While there are a handful of hotels in central Üsküdar they tend to be on the lower end. If this isn’t what you’re looking for, a short ride across the Bosphorus by ferry will get you to all sorts of neighbourhoods with luxury options, the filthiest hovels, or the most bohemian of hostels that you could ask for!